The Turkish Institute for Progress (TIP) was formed to provide a forum for dialogue in pursuit of peace and cooperation between Turkey and the international community. By meeting on the common ground defined by shared interests, TIP pursues a constructive dialogue to ensure that international relationships with Turkey are marked by unity and the shared pursuit of common goals. 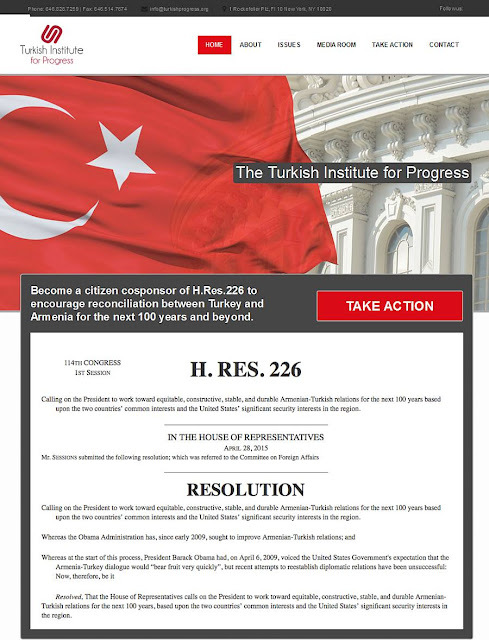 Become a citizen cosponsor of H.Res.226 to encourage reconciliation between Turkey and Armenia for the next 100 years and beyond. . . Please cosponsor H.Res.226, legislation introduced by Rep. Pete Sessions that asks President Obama to bring Turkey and Armenia together to achieve peace and prosperity for the next 100 years. I am concerned about the poor relations between these countries and the lack of dialogue between them for the past century. This is the first time in history that a resolution has been introduced that looks forward on the state of Turkish-Armenian relations. The time for bitterness and recrimination is past and we must now look to the future. Please cosponsor this critical measure today. One-Sided Narrative Ignored Millions of Casualties in the Armenian Civil War of 1885-1919NEW YORK, NY (March 05, 2015) – As the latest step in their campaign to create opportunities for dialogue between Turkey and Armenia that will find solutions to last for the next hundred years, the Turkish Institute for Progress today applauded the South Dakota State Senate for rejecting HCR 1009, the state’s one-sided narrative that ignores millions of casualties in the Armenian Civil War.” The resolution was tabled by an overwhelming vote of 30-4.“Our organization has been looking to create opportunities for Turks and Armenians to come together in a solutions-based dialogue that will lead to peace and reconciliation for the next hundred years,” stated Derya Taskin, President of the Turkish Institute for Progress. “Resolutions like this one only serve to deepen the division that has existed for the past century and keep us from coming together to mourn all of the losses – Turks, Kurds, Arabs, and Armenians – that occurred during this tragic period in our histories.“By rejecting this divisive and backward-looking measure, the South Dakota State Senate has sent a clear statement that they support real solutions that look toward the next century and work to unify our groups that share so much in common,” Taskin continued. “We applaud the State Senate for this action and hope other groups will resolve to bring us together instead of further tear us apart.”The Turkish Institute for Progress was formed to provide a forum for dialogue in pursuit of peace, and cooperation between Turkey and the international community. By meeting on the common ground defined by shared regional political, economic, energy, transport, scientific, technical, and cultural issues, TIP pursues a constructive dialogue to ensure that international relationships with Turkey are marked by unity and the shared pursuit of common goals. Derya Taskin is the President of the Turkish Institute for Progress (TIP). Born in Turkey, Ms. Taskin moved to the United States in 1995 to attend high school and, later, Seton Hall University, where she attained a B.S. in Diplomacy and International Relations and a B.A. in Criminal Justice. Prior to her leadership of TIP, she spent time working with the Permanent Mission of Turkey to the United Nations and the Turkish Grand National Assembly’s Turkish Mission to the European Union. She also served as a translator for high profile speeches before the United Nations General Assembly. Ms. Taskin currently owns her own consulting company focused on staffing and business consulting, and in this role she also aids small businesses interested in moving their products to Turkey or selling within the Turkish market. Among her many boards and professional memberships, Ms. Taskin is a member of the Turkish American Chamber of Commerce and Industry, where she previously sat on the Board of Directors, and she also previously served as Vice President of the Federation of Turkish American Associations – the nation’s oldest umbrella organization for Turkish American Organizations in the United States. She is also the President of the Paterson Turkish American Association of Paterson, NJ – a position she has held for the previous three years. She was also appointed by the Mayor of Paterson, NJ to serve as Commissioner of the Library and Museum Board. Ms. Taskin is fluent in English and Turkish and speaks conversational French. The events of 1915 reflect a grim and dark time in the history of the Ottoman Empire. Despite the 100 years that have since passed, the period remains a contested point, often wrongly referenced by the Armenian lobby as the Armenian Genocide. In defining the tragic events, it’s vital to consider the historical facts—the 600,000 Armenians who died, and the 2.5 million Turks, Kurds and Arabs who also lost their lives. The battle lines of 1915 did not develop from a premeditated plan or systematic effort. Instead, they represented a trigged response to years of violence perpetrated by Armenian separatists, and heightened by the Armenians who aided czarist Russia to invade Ottoman territories. It is critical to understand that the Armenian community of the time took up arms against their own government, lured by Russia’s promise of an independent Armenian nation. As such, the events that led to 1915 were a tragic and dark period, but not one that constitutes the 1915 Armenian Genocide. It is also critical to highlight that as a signatory to the Convention of Prevention and Repression of Crime and Genocide, a resolution approved by the United Nations General Assembly on December 9, 1948, Turkey has long been a supporter of recognizing genocides where they occur across the globe. As outlined in that convention, the label of “genocide” must fall under strict criteria, most notably that violence must subjugate members of a national, ethnic, racial, or religious group to conditions that include murder; forced transfer of children; or physical destruction. The concept of an “Armenian Holocaust” is a term that bears no foundation in historical fact or grounds in the internationally agreed-upon definition of “genocide.” No primary texts or Ottoman government sources reference any mandate for the extermination of the Armenian people in the order for the re-settlement of a community that posed a threat to the Ottoman State’s security. It is crucial to reference facts rooted in historical context to grasp the nuances behind what would result in a tremendous human cost to all former Ottoman peoples – Turks, Kurds, Arabs, and Armenians. In doing so, we can work together to look forward toward the next 100 years, inspired by the promise of renewed Turkish-Armenian relations under the true spirit of cooperation. NEW YORK, NY (April 06, 2015) – Leaders of the Turkish Institute for Progress today applauded a resolution that aims to begin the healing process between Turkish and Armenian communities in the United States and help find a durable solution that will last for the next 100 years. “Members of Congress have long sought an alternative that looks to the future and the Turkish Institute for Progress applauds this resolution for doing just that,” Rep. Ortiz continued. During his 28-year tenure, Rep. Ortiz served on the House Committee on Armed Services and as the Chairman of the Committee’s Subcommittee on Readiness. Calling on the President to work toward equitable, constructive, stable, and durable Armenian-Turkish relations for the next hundred years based upon the two countries’ common interests and the United States’ significant security interests in the region. Resolved, That the House of Representatives calls on the President designate a task force comprised of Members of Congress, administration officials, and representatives from Turkey and Armenia charged with working toward equitable, constructive, stable, and durable Armenian-Turkish relations for the next hundred years, based upon the two countries’ common interests and the United States’ significant security interests in the region. NEW YORK, NY (April 29, 2015) – Leaders of the Turkish Institute for Progress today applauded a new resolution, introduced by Rep. Pete Sessions (R-TX), that calls on President Barack Obama to facilitate a process by which Turkey and Armenia can engage in a dialogue based on their common interests and find ways to work together in a spirit of reconciliation for the next 100 years. Such a resolution would also be a boost to the national security interests of the United States. Turks and Armenians share many common goals and have many common interests, particularly regarding regional political, economic, energy, transport, scientific, technical, and cultural issues. Together they have also reaffirmed their readiness to actively support the actions of the international community in addressing common security threats to the region and world security and stability. A proposed bill focused on facilitating reconciliation between Turkey and Armenia is pending Congressional review. Americans interested in easing tensions among a turbulent region should take notice. The resolution, introduced on April 6, calls for a U.S. Presidential task force to support “equitable, constructive, stable, and durable Armenian-Turkish relations.” As such, the bill presents an opportunity for Turks and Armenians to work alongside one another to promote a peaceful future centered on the next 100 years. The effort—pushed by the Turkish Institute for Progress—offers supporters an alternative position from the Armenian Genocide resolution, a controversial bill deep-rooted in a long-standing debate. At the core of the Armenian resolution lays Armenian American’s call for official recognition of the events of 1915 as an act of genocide. 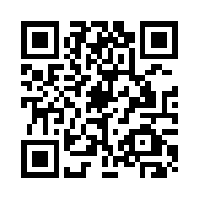 What the text fails to capture, however, is an outlook focused on renewed prospects for shared dialogue. As the two nations move forward in chartering a new century ripe with potential, it remains crucial to build a foundation that bridges common interests and establishes opportunities for mutual cooperation. The historical passions driving today’s dialogue must not distract from another conversation that too must be had. The Turkish Institute for Progress calls on the U.S. Congress, our friends and those with a stake in a productive future for Turkey and Armenia to put aside age-old grievances and encourage all—Turks, Kurds, Arabs and Armenians—to come together and find solutions. In doing so, we can solidify the groundwork for a resolution that will bring us all forward. We commend the bill introduction and applaud his noble efforts to bring all sides a step closer toward achieving the ultimate goal: reconciliation for the next 100 years. The Turkish Institute for Progress (TIP) was formed to provide a forum for dialogue in pursuit of peace and cooperation between Turkey and the international community. By meeting on the common ground defined by shared interests, TIP pursues a constructive dialogue to ensure that international relationships with Turkey are marked by unity and the shared pursuit of common goals. .
Armenian Diaspora should understand that their cognates Armenian citizens’ welfare and happiness is very closely tied the relations with Turkey. Both sides, Turks and Armenians, lost a lot of beloved ones during 1915 events. The Armenian side should accept that reality and stop hatred against Turkey and try to understand what the interest for them is. Therefore, I invite the Armenians joint to support the resolution if it is still valid, if not support the next resoluyions of that type.